Due to their titanium base, they offer the security of the titanium-titanium joint. Besides, they offer the possibility to personalize the pillars by modifying their angles and design. 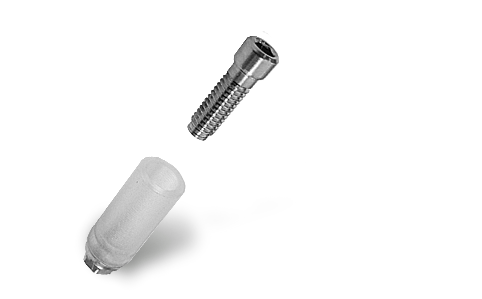 Titanium screw + Chrome nickel-based calcinable body and anti-rotational fastener.